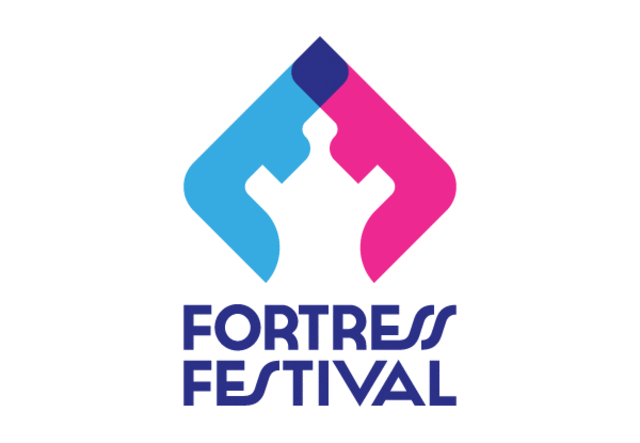 The third annual Fortress Festival returns to Fort Worth, Texas on April 28th & 29th. Weekend GA and VIP passes are available now for purchase at www.FortressFestival.com. 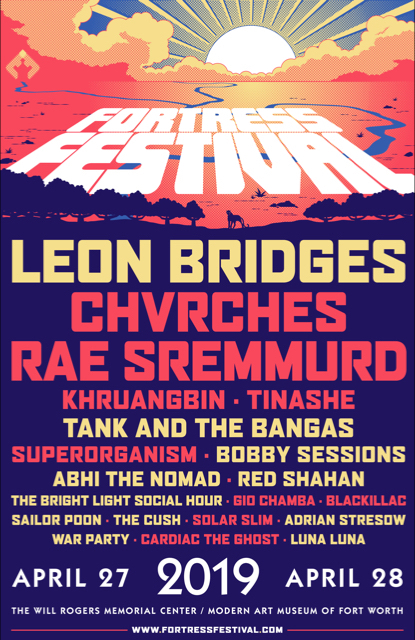 Headliners for this year’s Fortress Festival include Texas Native, Leon Bridges, Indie Pop band CHVRCHES, and Rap dup, Rae Sremmurd. All three headliners come from different genres and backgrounds, giving each and every fan what they want to hear. Fortress Festival is continuing the tradition of bringing a well rounded lineup to the great state of Texas. Additional recently announced performers include a variety of Texas-based acts highlighting the state’s diverse yet high-quality music offerings, such as psych-funk trio Khruangbin (Houston, TX), who opened on tour this fall for another Fortress Festival 2019 performer, Leon Bridges, after releasing their second album, Con Todo El Mundo, in January to praise from critics and fans alike. Other notable newly added festival performers from Texas include tropical-fusion duo Gio Chamba (Houston, TX); Blackillac (Austin, TX), a brand new rap group that features production led by legend Gary Clark Jr.; Solar Slim (Fort Worth, TX), who is best known as half of the chart-topping rapper/producer collective Otaku Gang; and one of Dallas’ most exciting up-and-coming rappers, Cardiac the Ghost (Dallas, TX). 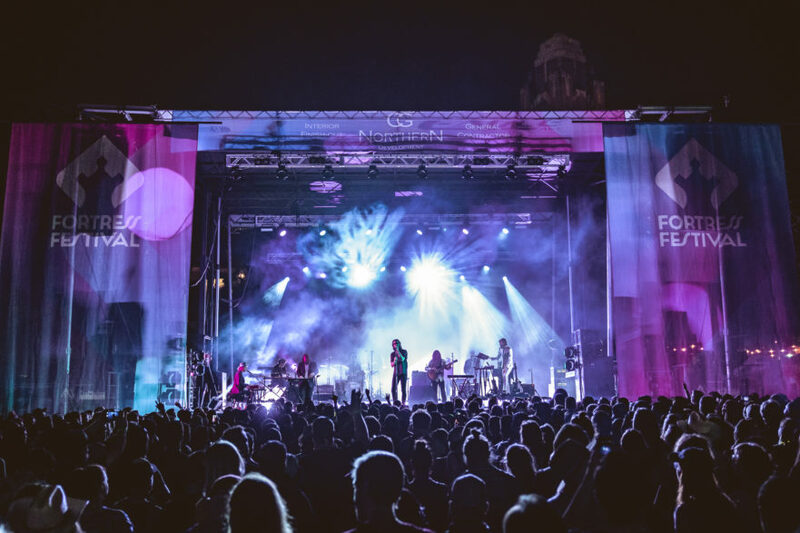 In partnership with the internationally acclaimed Modern Art Museum of Fort Worth, Fortress Festival 2019 will again offer music lovers from North Texas and across the country a boutique music festival experience celebrating music, art, and culture. Similar to last year, the event will take place in the highly renowned Cultural District of Fort Worth – home to some of the most lauded art museums in the country, including Modern Art Museum of Fort Worth and Kimbell Art Museum – and will be entirely housed within the spacious lawn adjacent to theWill Rogers Coliseum, featuring two outdoor main stages with non-overlapping sets to ensure fans are able to catch every minute of each performance on each main stage. This year’s main stage is sponsored by Dickies®, the Fort Worth-headquartered global workwear brand, with the second stage being sponsored by Seagrams 7 Crown Whiskey. Fortress Festival was created by and continues to be 100% independently produced by Fortress Presents, a Fort Worth-based independent production and promotions company founded in 2016 by North Texas natives Alec Jhangiani and Ramtin Nikzad, whose former accolades include helping to establish the Lone Star Film Festival and the Lone Star Film Society in Fort Worth. The Fortress Presents team last year expanded its staff and diversified its offerings beyond the flagship festival to now include a diverse portfolio of branded events along with event production and marketing services.